Oh yes Huling. 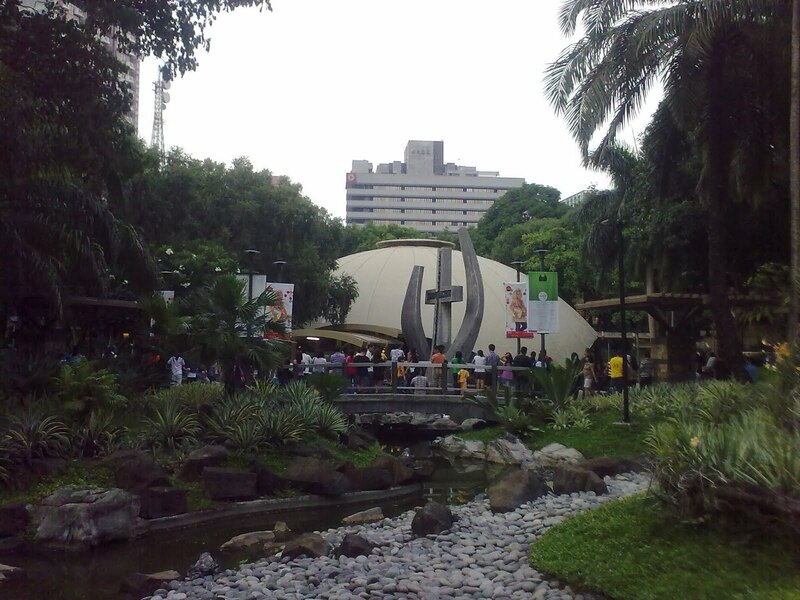 The old park with the Chapel is now called Greenbelt 1-4. The place is the epitome of fine dining and high-end shopping. The old Ayala Museum is now gone and so are the Shakeys and that German Pub alongside the Ayala Museum. The Museum is now part of the Greenbelt Complex. The old chapel is still there and it has served many-a-shoppers a convenient way to attend worship services while taking a break from their mall-ing. Aha! That's the chapel I was talking about. Na mi miss ko yung pagpunta dyan sa GB pag ako eh naiinip dati. I like this chapel because its just near the mall. I haven't been to GB for a few years now.. Well, since they changed the shopping area into a more expensive not so "masa" mall. I'm glad they retained the chapel. I love that little chapel especially that time that they had an aviary near it.. I dont go to Makati much but I went last month to meet a friend in Greenbelt 5 or was it 4.....I had to do a lot of walking because I didn't know where to go. Hardly recognized it. I'm happy they retained the chapel. It's one of the places I frequent upon going to Makati when I was working there.